Are you welcoming a little Mister or Miss? These adorable classic milk bottles will bring a nostalgic ambiance to your baby shower event. 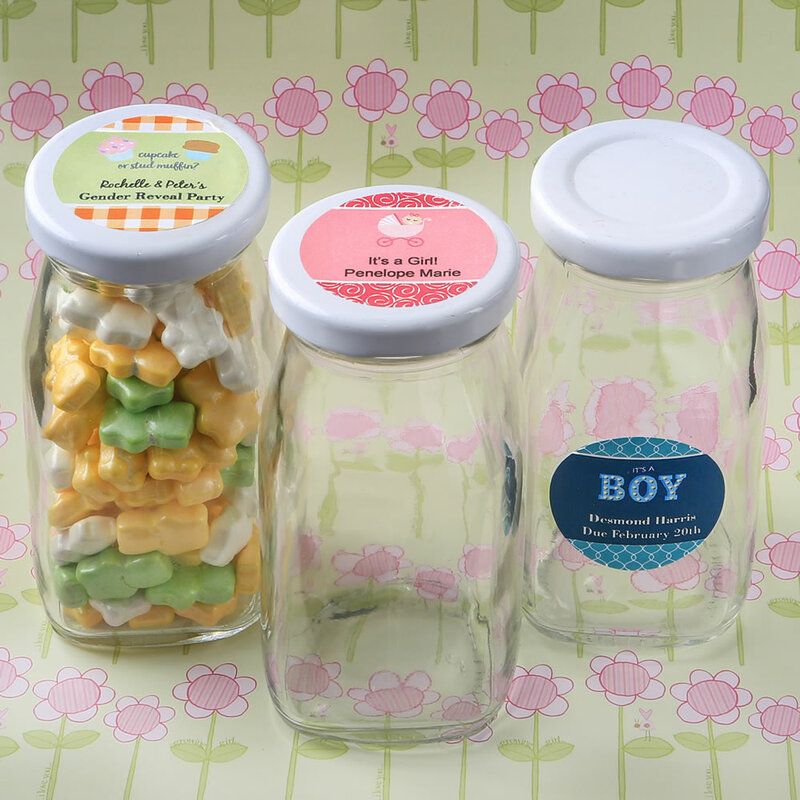 Fill them with special treats and personalize with a sticker designed by you, to match the theme of your baby event. 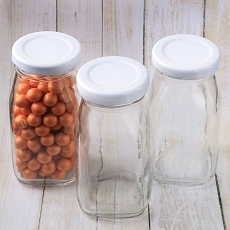 These charming medium size glass bottles have a classic milk bottle shape with a screw top spout and white metal lid. The bottles hold 7 fluid oz and come bulk packed. Fill the bottles with bath salts, chocolates, candy treats, baby soap or a small baby toy. They are also ideal to fill with wax to create your own unique candles for your event tables. Add a unique personal finish to the bottles and create your own high-class customized stickers that can be attached to the side or the top of the milk bottle. Choose from a huge range of colors, customized titles and border styles to match the decor theme of your baby event. Use our Online Design Previewer Tool to design your own sticker and view it before ordering! The stickers are 1.5ï¿½ round and come on diecut, easy-peel 8.5" x 11" sheets.